AHHHHHH! 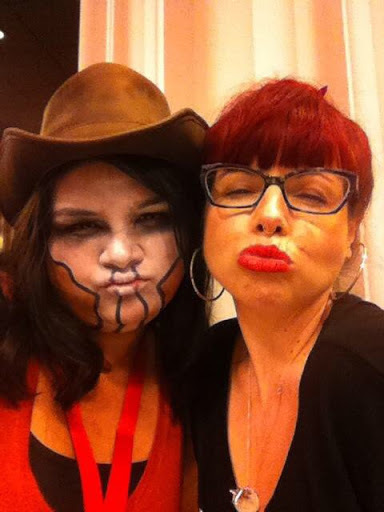 Last year Kelly Sue came and it was wonderful. She took part in the fun run (I actually got to stand next to her in the group picture! Except I was just out of frame oops) and did THE BEST panels and of course took duckface selfies. But this year we’re getting BOTH of them and I can’t even with how amazing that’s going to be! Better get working on a Defraction inspired cosplay for this year!